We believe that practice makes perfect, and achieving perfection requires trying, and then trying again and again until you get there. We recently watched Ron Berger of EL Education explain how the power of practicing can serve to improve the final product. 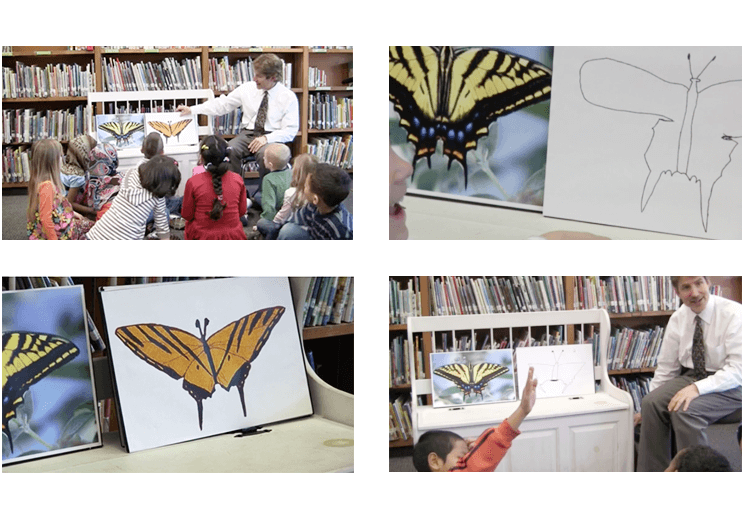 In EL Education’s video titled ‘Austin’s Butterfly’, Ron explains to the students of Presumpscot Elementary School (Portland, Maine), how an Idaho First Grader, Austin, developed his sketches of a Tiger Swallowtail butterfly, by implementing helpful feedback from his fellow classmates through a series of 6 drafts, or 6 iterations. So what can we learn from Austin? Well, as he improved his drawings through implementing feedback, so we can improve our designs through iteration and feedback from everyone involved in the process. Let’s look at how this works through iterative prototyping. It’s no secret that prototyping is replacing documentation as a UX deliverable. But why is this? Up until recently, documentation was the primary deliverable to hand off to clients before product development took place. When dealing with complex interactions, documents could amass to 100+ pages! Notwithstanding this inconvenience, another limitation presented itself when designers sent the final documentation to clients as it didn’t represent the final product with that much authenticity. With the time it takes to create these large documents, vital information and/or changes can be overlooked, ignored, or even become outdated by the time the clients get their hands on them. Let’s face it, in this day and age, documentation is a rather inflexible way of presenting a design, and when it comes to making updates with each iteration, requires a lot of painful rework. Regardless of how well documentation is crafted on paper, it just can’t keep up with its fast-growing successor: prototyping. Download Justinmind today to get iterating! The way we see it, iterative prototyping is a must-have if you want your project to hit the ground running. Essentially, iterative prototyping allows us to translate our creative vision into a reality, and then perfect that reality through fast-paced iterations. There are a number of factors that make iterative prototyping a step forward in the design process. Firstly, it can save money and resources, and the process makes exploring what the user needs and how to get it to them generally much quicker than documentation, both at kick-off as well as when testing with multiple iterations. In terms of research objectives, the faster the customer can see the interaction flow, design and navigation, the more efficient the process is. Moreover, with the introduction of interactive and high-fidelity prototyping, we’ve seen a more efficient handover of deliverables to stakeholders. Consider iterative prototyping as a way of learning and evaluating whether (or not) you’re on the right track. At its core, prototyping is an iterative and communication-driven approach to software and web design. It’s based upon the idea that you’re not going to get everything right the first time round—and that’s OK. Basic iteration proves that we can get to a closer approximation of the final deliverable if we repeat the process incrementally. And, as we’ve mentioned earlier, the more chances you get to improve something, the better the end result is going to be. When it comes to usability, understanding the problem before offering a solution could not be more important. So rather than trying to do everything at once, embrace creating, testing and iterating your designs until you, your team and your clients are satisfied with the outcome of the final deliverable. If you’re a UX designer, knowing how and when to prototype is already a prerequisite. However your project will benefit from having real users – as well as those involved in the design process – give you feedback on what works and what doesn’t. And the sooner you can get it out to them, the quicker you can receive that precious feedback. With the quick-paced iterations of prototyping, you’ll spend less time confirming that all the changes in place and will be able to better focus on creating the perfect design. Making something people want— that’s the goal, right? Well, people won’t be able to tell you they like something until they’ve tried it out—real feedback. We look at prototyping as a UX testing device prior to working on the real thing. Remember, user experience brings your product to life. With prototyping tools, such as Justinmind, you can make rapid iterations in real-time, get feedback and push out new versions efficiently. The fundamental difference between documentation and interactive prototyping is simple: people don’t read prototypes, they interact with them. Experience is perception! With clickable, high-fidelity prototyping tools, the user can interact with an authentic replica of the final website or mobile application. Creating a prototype allows for greater user-interaction and an effective combination of user-testing and iterations of this prototype generates a deeper-level understanding of how the product is experienced by the user. Prototyping is a thoughtful, expressive and powerful way of presenting a design to the client as well. It’s about communicating enough about the intended product to spark well-informed discussions with stakeholders. People enjoy and know how to interact with products, and simulating interactions within a prototype leads to better, more streamlined designs, based on user input. So, as Ron explains, practice and feedback allow for constant improvement until the final design is reached. We totally agree! At the end of the day, the deliverable isn’t everything – it’s a lot to do with the design journey too. To read more about iterative design in action, read how Justinmind clients TokBox implemented it through prototyping. 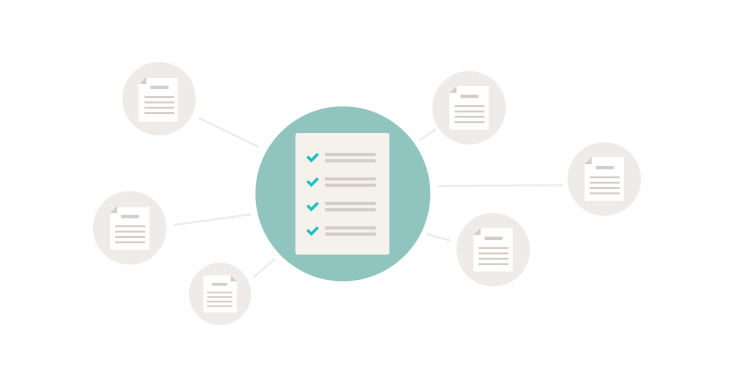 With Justinmind’s Sharing and Teamwork features, you can test and get feedback quickly and easily. And for those of you who aren’t ready to walk away from documentation, you can also generate specification documents from your Justinmind prototypes! And remember, it’s never been faster or easier to prototype and experiment with multiple iterations! So what are you waiting for? Get prototyping!